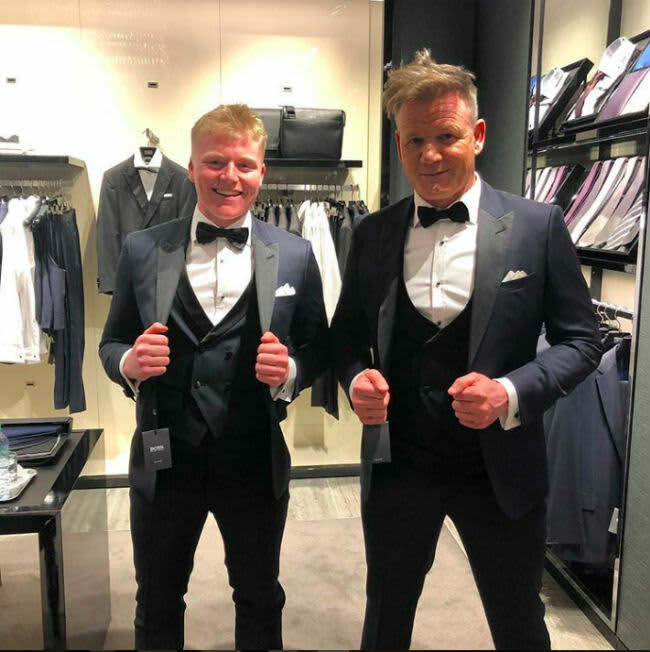 Gordon Ramsay and lookalike son Jack pose in matching suits | HELLO! Gordon Ramsay's son Jack is his dad's double – even down to the suit! Like father, like son! Gordon Ramsay's only son Jack has inherited his dad's looks - and style! The teenager, who recently celebrated his 18th birthday with twin sister Holly, looked rather pleased with himself as the pair posed in matching outfits while shopping in Hugo Boss. Gordon took to his Instagram to share the snap, explaining that they had been shopping for Jack and Holly's birthday party. He said: "Twins…getting kitted out for somebody's big 18th party @hugoboss @jackramsay1999." The pair looked smart dressed in their suits, which featured a black waistcoat, navy and grey blazer, grey trousers, a crisp white shirt with contrasting black buttons and a black bow tie. Shortly after Gordon uploaded the photo, fans were quick to comment on just how much the pair looked alike. One wrote: "Oh my word he looks so much like you!" while another said: "Yes twins." A third added: "Like father, like son." 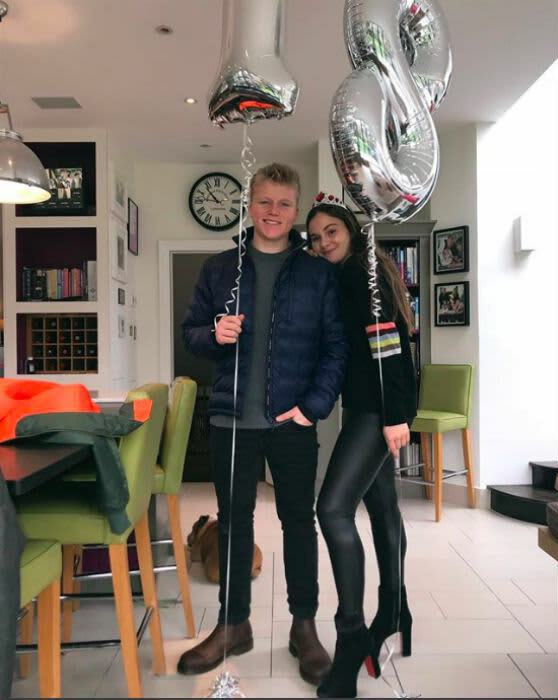 Jack and Holly turned 18 on 31 December, and it looked like they had a day and evening to remember, with their birthday falling on New Year's Eve making for double the celebrations. Holly shared a photo of her and Jack enjoying a drink out at a bar with their friends, which she posted on Instagram. In the snap, Holly looked stylish wearing a birthday crown and sparkly dress, while Jack looked smart in a black shirt. The pair have no doubt waited for the festivities to quieten down before properly celebrating their special birthday with a party, with guests likely to include the Beckham family, who were away in Turks and Caicos Islands on the twins' big day - although it didn’t go forgotten. Brooklyn – Jack's best friend – took to his Instagram account to send a special message to his friends, sharing a photograph of them all out at a party with a friend. He captioned the snap: "Happy birthday to these 2 muppets. Have an amazing day you 2 @jackramsay1999 @hollyramsayy." Romeo, 14, also marked the occasion, posting a photograph of the siblings at their home holding up large silver helium balloons. He wrote besides the image: "Happy birthday Jack and Holly hope you have the best day!! @jackramsay1999 @hollyramsayy."